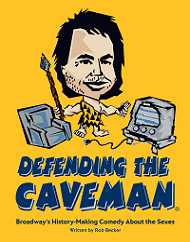 Defending the Caveman Las Vegas Comedy Show Discount Tickets. 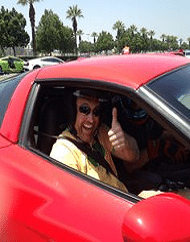 The world-wide smash hit Defending the Caveman spears its way to the D Las Vegas showroom. 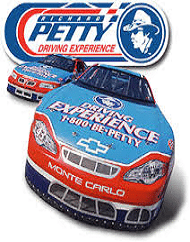 Ride-Along Tour Las Vegas Richard Petty Experience. 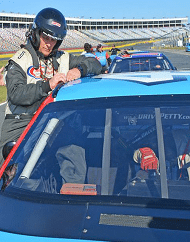 Reserved experiences include round-trip transportation and 3 laps in a NASCAR Stock Car! 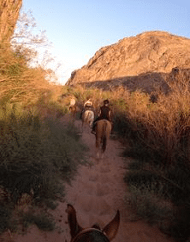 Wild Wild West Horseback Riding Sunset BBQ Adventure. 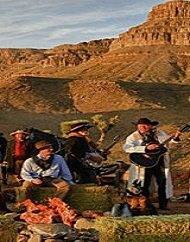 Conclude your 1-hour evening ride with a barbecue dinner followed by a cowboy campfire! 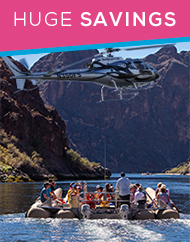 Book online and save on the Black Canyon River Rafting Adventure Day Tour. 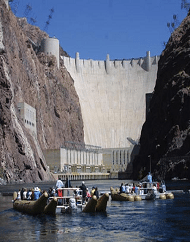 This is a unique day trip, great for those seeking family activities in Las Vegas! 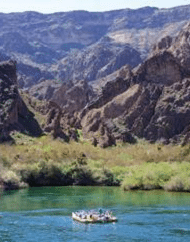 Climb aboard a motor-assisted inflatable raft for a journey through Black Canyon - the natural gorge of the Colorado River below the Hoover Dam Bypass Bridge. 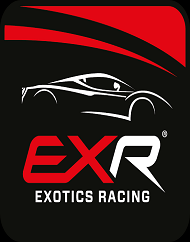 Exotics Racing Ride-Along Racing-Drifting Experience Las Vegas. 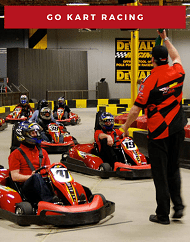 Reserved experiences include round-trip transportation and 2 laps in a NASCAR Stock Car! 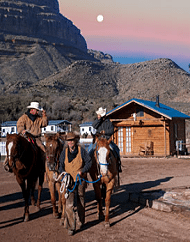 Book our Grand Canyon Western Ranch, Meadview, Arizona Overnight Cowboy Cabin Stay with Sunset Adventure! 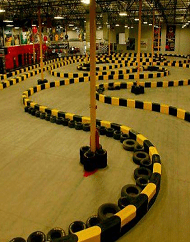 Experience real life city-slicker adventure. 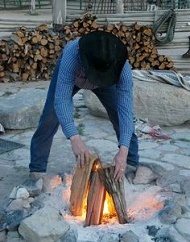 Enjoy a night stay in a cozy western pine cabin with choice of a sunset wagon or horseback ride. 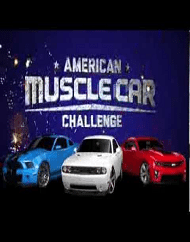 Includes all meals plus round-trip transfers from the Las Vegas Strip. 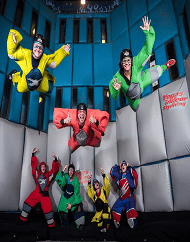 Instantly save $10 OFF on the Las Vegas Indoor Skydiving Flight Experience. 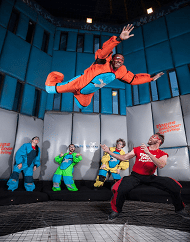 Earn your wings at the only indoor skydiving center in Las Vegas. Experience the thrilling sensation of skydiving without need of a parachute or an airplane as our 1000 horsepower motor keeps you soaring through air. Includes equipment. 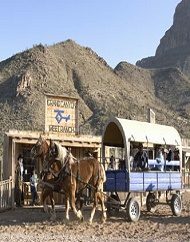 Grand Canyon Western Ranch Experience Horseback Riding Adventure. 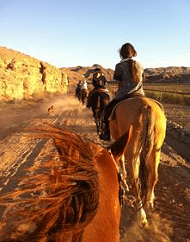 Explore beyond Las Vegas by enjoying a true Wild West Adventure! 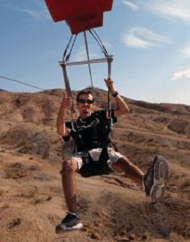 Las Vegas Adventure Tours – Looking for something else todo off the Las Vegas Strip?  Wow what a selection we have for you here! 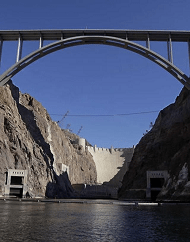 Las Vegas has some of the most amazing hotels and attractions in the world, but there is more waiting for you and your family just beyond the neon line. 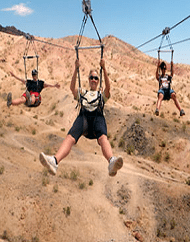 Our selection of Adventure Tours and other things to do around the Las Vegas area include experiences made just for you that range from Hot Air Balloon Rides To ATV off road adventures, Zip-Lines to Ghost Town Tours!